Valium (diazepam) is a benzodiazepine medication prescribed for the short-term treatment of anxiety, seizures, muscle spasms, and acute alcohol withdrawal. Regular Valium users can quickly become both psychologically and physically dependent on Valium. In addition, regular Valium users develop tolerance to the drug and may begin to require increasing doses to experience its effects. Relief from side effects: Valium has many side effects that can impact daily functioning, including headache, tremors, vertigo, confusion, depression, nausea, slurred speech, disorientation, blurred vision, mood swings, low blood pressure, and slowed breathing. Decrease risk from accidents: Users are at increased risk of automobile and other accidents due to the sedating effects of the drug and slowed reaction times. Repair relationships: Users may neglect relationships with family, friends, and significant others or reduce their participation in such relationships. Save money: Maintaining a steady supply of Valium can be expensive, and users may resort to risky behaviors to obtain the drug. Prevent memory loss: Valium abuse increases the risk of significant anterograde amnesia—meaning difficulty remembering things that take place after taking the drug. Learn to manage anxiety without medication: Many users start taking Valium to relieve anxiety and end up becoming dependent on the drug to deal with stressful situations and uncomfortable feelings. It is much safer to learn to manage these conditions without medication. Prevent overdose: Combining Valium with other drugs, such as alcohol, can greatly slow down breathing and lead to death. Valium dependence can make quitting alone dangerous due to severely unpleasant and potentially life-threatening withdrawal symptoms, such as seizures. Many people relapse to eliminate these symptoms. Inpatient treatment: Inpatient treatment takes place in a 24-hour residential facility for a period of time, typically ranging from 28 days to 90 days. This intensive type of treatment allows users to focus exclusively on recovery in a sober, drug-free environment. Services available at inpatient centers typically include medically supervised detox, individual and group counseling and therapy, support groups, and 12-step programs. Outpatient treatment: Outpatient treatment is similar to inpatient treatment except care takes place on a part-time basis, and the person continues to live at home. This treatment option allows people to remain active in work, school, and other personal commitments and hobbies. Individual counseling: Individual counseling helps users address the psychological and emotional issues related to their addiction. Group counseling: Group counseling is also an important part of therapy and offers recovering users both support and learning opportunities through group dynamics. 12-step programs: Twelve-step programs offer a step-by-step process toward recovery among the support of peers with similar addictions and struggles. Sober living communities: Sober-living communities provide a safe, drug-free residence after initial treatment. These communities typically offer a variety of services including job placement, counseling, relapse prevention, recreational activities, and support groups. Outpatient treatment programs: Outpatient visits with a physician and or psychiatrist can help maintain sobriety and health in the long-term. 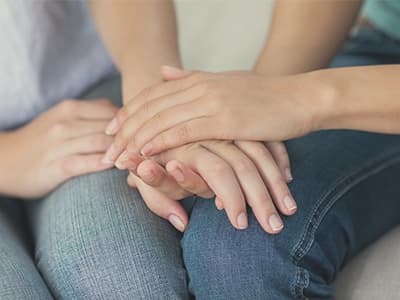 Counseling: Counseling is another important part of ongoing treatment that helps recovering users learn to address their problems without using drugs. 12-step programs: Twelve-step programs and support groups typically meet at least once a week and allow users to continue to discuss the problems they face with others. Participants often receive a sponsor during 12-step programs, whom they can call upon if they feel at risk of relapse. Withdrawal symptoms can vary from person to person depending on individual physiology, health, duration of addiction, and amount used. Hyperacusis (extreme sensitivity to sound). Because withdrawal symptoms can be uncomfortable, severe, and potentially deadly in some cases, it is best to taper off the medication slowly under a doctor’s care. Your doctor will likely slowly lower your dose over time in order to minimize withdrawal symptoms and reduce the risk of relapse. Do not attempt to taper on your own. Seek medically supervised detox as part of a structured recovery program that includes behavioral therapy or another form of support. Detox alone is not treatment and can lead to relapse without follow-up care. Antidepressants may be used to help with depressive symptoms. Propanolol, an anti-hypertensive medication, may help with tremors, high blood pressure, and headaches. Other anticonvulsant medications(such as carbamazepine) may be used to ease anxiety, tremors, or seizures. Don’t attempt to quit alone: Quitting Valium is difficult, and many people relapse. Maximize your chances of recovery by seeking professional help. Address the reasons you started using Valium: Many people have underlying reasons or psychological problems related to their drug use. Seek counseling, therapy, or psychiatric treatment to help you address these issues (if necessary) and reduce your risk of relapsing in the long-term. Avoid triggers: Avoid people, places, and situations that make you want to use Valium whenever possible. There inevitably will be triggers that you cannot avoid, so it’s best to have a plan to deal with such situations. Learn to cope with stress and anxiety: Cognitive behavioral therapists can teach you a variety of techniques to help you cope with stress and anxiety without using drugs. Build a support system: Connect with family, friends, and other people who support your recovery. Reach out to these people when you feel cravings to use or are under stress. Participate in aftercare: Several aftercare options are listed above. Find something that works for you, or work with the staff at your treatment program to figure out the best fit for your schedule and needs. Don’t be confrontational. Don’t make threats or issue ultimatums. Such behaviors will probably push the person away and could trigger more drug use. Be as loving, gentle, caring, and helpful as possible. Show compassion and empathy. Let the person know that you are coming from a place of genuine concern. Encourage the addict to seek professional help rather than trying to quit alone. As mentioned above, quitting cold turkey has several risks and can lead to relapse. Approach the person one-on-one before attempting any type of group intervention. If you decide to pursue an intervention, consider hiring an interventionist and weigh the risks of this approach beforehand. Support recovery as an ongoing process. Recovery takes time, and the person will need continuing care after completing a treatment program. Offer to attend 12-step meetings with him or her or family therapy sessions, if necessary. Understand that relapse is common, and don’t get discouraged if it occurs. Instead, encourage the addict to continue with aftercare programs or seek a different form of treatment. Withdrawal can lead to health risks, rebound anxiety, and cravings. Health risks, including seizures. Some users experience seizures when going through withdrawal, which can be dangerous. Rebound anxiety and insomnia. Unsupervised withdrawal can also lead to a return of anxiety and insomnia, which can be quite distressing and lead users to relapse. Cravings and relapse. Cravings and the impulse to alleviate withdrawal symptoms are other causes of relapse. It is standard medical practice in cases of significant benzodiazepine dependence for people to be closely supervised by or under the care of a doctor. They are administered pharmaceutical support throughout the withdrawal process, if necessary. This detoxification protocol can take place at an inpatient recovery program or detox center. U.S. National Library of Medicine. (2010). Diazepam. Food and Drug Administration (FDA). (2008). Valium. Ashton, H. (2004). Protracted Withdrawal Symptoms from Benzodiazepines. Comprehensive Handbook of Drug and Alcohol Addiction. Hood, S. D., Norman, A., Hince, D. A., Melichar, J. K., & Hulse, G. K. (2014). Benzodiazepine dependence and its treatment with low dose flumazenil. British Journal of Clinical Pharmacology, 77(2), 285–294.